Alexander Petersen took down the 2018 #EPTBarcelona €10,300 PLO High Roller for €213,400. 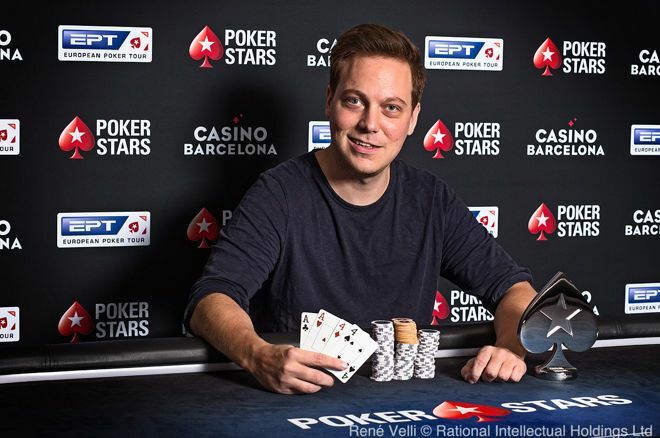 The next High Roller champion has been crowned at the 2018 PokerStars European Poker Tour Barcelona and Denmark's Alexander Petersen has claimed the title and trophy in the €10,300 Pot Limit Omaha High Roller at Casino Barcelona. Petersen defeated Hong Kong's Yan Shing “Anson” Tsang in heads-up to claim a payday of €213,400, while Tsang had to settle for €151,700. “I play heads-up PLO cash for a living and you have a few chips more,” Petersen said while asking Tsang whether or not he was interested in seeing possible deal numbers a few hands into the heads-up duel. Tsang shook his head and from there on out, Petersen put enormous pressure on his opponent to take a commanding lead. Tsang doubled once when short-stacked but just one hand later it was all over and the Danish rail had reason to celebrate. The victory is Petersen's second biggest cash on the live circuit, as he claimed a maiden bracelet back in 2015 after taking down the Pot-Limit Omaha $10,000 Championship at the World Series of Poker for $927,655. The event drew a total of 80 entries including 18 re-entries and the top 11 players took home a portion of the €776,000 prize pool. Among those to finish in the money were such notables as Cord Garcia, Dan Shak, Chris Dowling, Martin Kozlov and Niko Soininen. Alex Lindop ended up as the bubble boy when Soininen flopped a royal flush against the Brit. Only 17 players returned to the seats and the field was reduced to the final two tables after the very first hand. Felix Stephensen got it in with kings and a suit against the aces of eventual runner-up Anson Tsang. Stephensen flopped top two pair with queen-jack, but his hand was counterfeit on the turn when the board paired. Half an hour later it was once again Tsang that reduced the field by one as he took out Laszlo Bujtas in a big pot with the nut flush against the jack-high flush. A double-elimination followed on the other table when Yevgeniy Timoshenko got his short stack in with pocket aces and Samuli Sipila reshoved with pocket kings. Initial raiser Panagiotis Sotiriadis called on the button with aces and was the only player that held two hearts in his hand. That proved to be crucial, as the turn showed three hearts to reduce the field to the last 13. Villa Mattila had his pocket aces cracked by Alexander Petersen and the money bubble was reached. Only a few hands in, the bubble burst with a huge anti-climax. Short stack Alex Lindop was all in and at risk against Niko Soininen and the Finn casually flopped a royal flush to burst the bubble in style. Murad Akhundov and Cord Garcia were eliminated in quick succession and the final nine redrew to the unofficial final table with Anson Tsang in the lead. And it came as no surprise that Tsang was responsible for the vast majority of the action as big chip leader. He first knocked out fellow countryman Hon Cheong Lee before sending Dan Shak in 8th and start-of-the-day chip leader Chris Dowling to the rail in 7th place. What happened next was a prime example of the run-good of Tsang, who put Martin Kozlov and Seamus Cahill at risk with ace-king-nine-seven. Cahill held pocket aces with three hearts, Kozlov called with queen-jack-ten-deuce. The board showed an eight-high straight and Tsang scored the double-knockout with the nine-high straight. 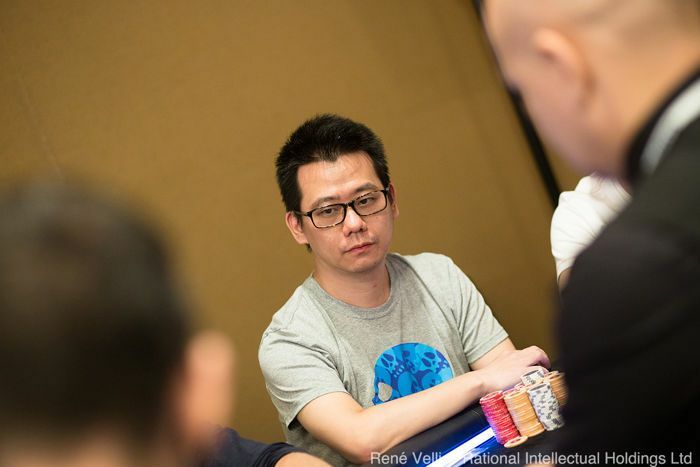 Tsang sent the sixth player in a row to the rail on the final table after turning an unbeatable full house against Niko Soininen and the player from Hong Kong also had the chance to end the tournament soon after. In a three-way clash with Alexander Petersen and Panagiotis Sotiriadis, Tsang flopped an open-ended straight draw only a few hands into three-handed play. However, Sotiriadis rivered a flush to triple up and the aces of Petersen held up to end the hot run of Tsang. Petersen then sent Sotiriadis to the rail when they got it in with jacks and the nut flush draw against the inferior flush and open-ended straight draw of Sotiriadis. Both the turn and the river bricked and there were only two left. Anson Tsang took out 6 players on the final table, finishes 2nd. Heads-up was short-lived and plenty of big pots were shipped over to Petersen, who pulled as far ahead as seven-to-one. Tsang doubled once, but was all in and at risk again the very next hand. After investing the majority of his stack preflop, Tsang reluctantly called the shove of Petersen on a seven-high flop with two spades and held back door outs. Petersen's aces immediately turned a set and that crowned the Dane as the champion. 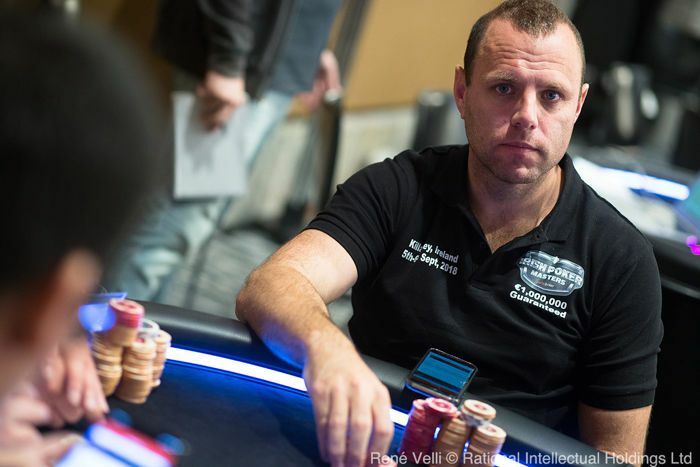 That brings an end to the €10,300 Pot-Limit Omaha High Roller, but the high stakes action continues without a break in the €25,000 Single-Day High Roller and the upcoming three-day €10,300 EPT High Roller. The PokerNews live reporting team will be on the floor to provide all the action from Barcelona until the end of the festival.